This is your chance to own a piece of Yakima History and your own Mansion!! 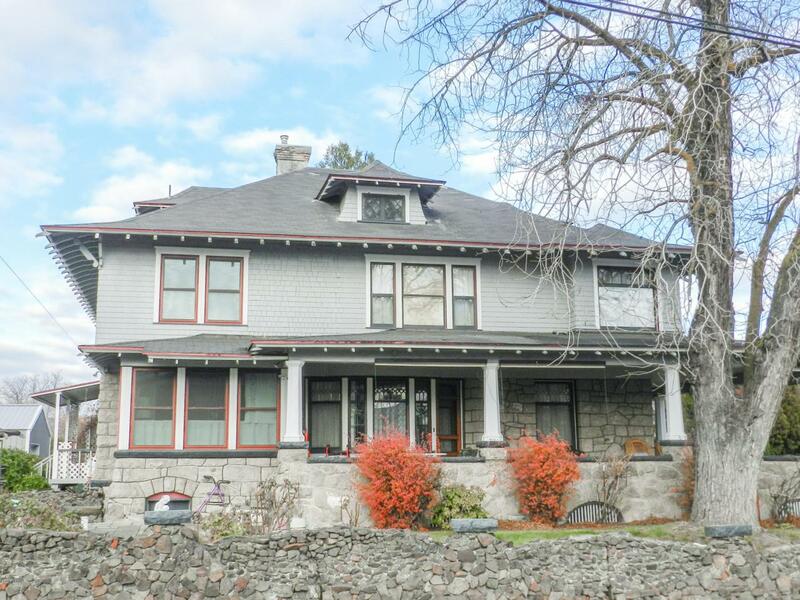 This prestigious 1905 home appoints itself on the corner of 16th and Yakima Ave. It was once the Dills-Harrison home on the National Historic Society Registry, built with the finer things in mind. Once you enter the well cared for park like grounds you will feel the relaxation set in with the wrap around covered porch and want to sit down with a glass of lemonade and watch the world go by. You enter into the grand entry with inlaid wood floors, leaded glass windows, raised ceilings with crown molding to display your art.Grand living space with built in lighted curios, formal dining with window seat, parlor with entry as well as fireplace, spacious kitchen with butcher block counters and plenty of room for entertaining, plus full bathroom with claw foot tub on main level with wood bay window. The 2nd level of home with mahogany paneling in office (which could be a family room area) plus 5 spacious bedrooms (one is maid's quarters with staircase from back of the home), 2 full baths, one with claw foot tub all in pristine condition and one with french doors leading to balcony. You will truly appreciate the detail throughout this home, there is solid woodwork and quality craftsmanship throughout, you will fall in love with the character. The full basement has large great room, workshop, storage room and laundry. The attic has stairs to access and would a great place to finish off with plenty of windows. Plus 2 car detached garage all on 1/2 acre. This home is perfect for a large family or a bed and breakfast. The foundation for the home is stone and there is radiator steam heat plus a gas furnace.